Local theatre, the Millbrook Playhouse is performing its last play for the 2015 season, “The Rock Horror Show.” Written by Richard O’Brian and directed by David E. Leidholdt, this amazing play features love, a sweet transvestite, aliens and fabulous heels. This comedy-horror musical is opened by a narrator who introduces a newly engaged couple, Brad Majors and Janet Weiss, who find themselves lost in the rain with a broken down car. 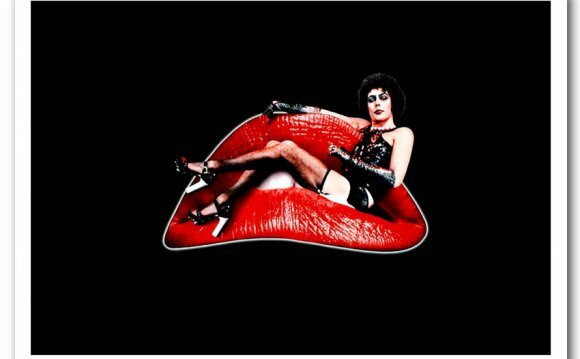 When they go to a nearby castle in search for a phone, they enter the world of Dr. Frank N. Furter who is a self-proclaimed “sweet transvestite from Transsexual, Transylvania, ” claiming to have found the secret to life and reveals his creation, Rocky, a living muscle man. As a “Rocky Horror virgin, ” that is someone who’s never experienced “Rocky Horror” before, I found this play to be enjoyable. The actors did a phenomenal job in portraying their characters, making them seem to come alive, especially since the audience was invited to interact during the play, such as yelling names and comments and using the props from the “participation bags” at the right times. It really bought the audience into the play, making us more than just spectators. Although the stage was limited in size and set pieces, the cast used every inch of it, and some of the audience seats as well, doing so skillfully. The only awkward time was when one of the actors came through the seats in between my row and the one in front, mainly because of the lack of legroom. The lighting was also done well, matching the atmosphere of the scene. The costumes designed by Lock Haven University theater professor, Ramona Broomer, were put together skillfully, although shockingly, allowing the audience to see just what kind of people each character was. Overall, “The Rocky Horror Show” was a fantastic experience I wouldn’t mind reliving. It also made me excited to search out the movie and watch it, just not around my parents. I would recommend anyone other than kids to go see this play. The next show is tonight, at 7:30pm!